What are the best things to do in Vienna? Which places are must-see? These questions are asked by most people who go to Vienna for the first time and do not have much time to explore everything that the city has to offer. When visiting Vienna for a weekend or for a few days, everyone wants to focus on must-see places. 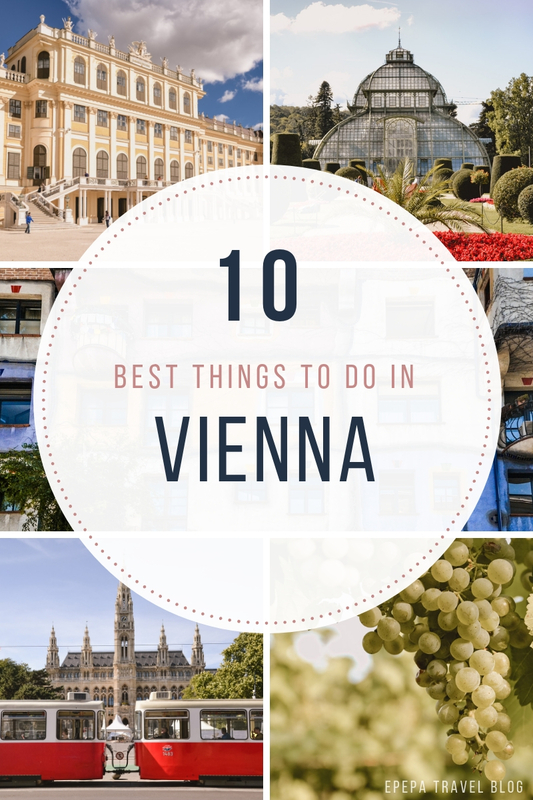 I know what it is like to visit the city for a short time and want to see as much as possible, so that’s why I have prepared for you a list of the 10 best things to do in Vienna. I lived in Vienna for one year, so I know this beautiful city quite well. I will not write about history here, because you will find it all in guidebooks. I will show you instead 10 places that are especially worth seeing in Vienna and I will add some travel tips from an insider’s point of view. I hope that it will be helpful for you when organizing a trip to Vienna. 1. Visit the Schönbrunn Palace or just take a walk through the Schönbrunn Gardens. Schönbrunn Palace and the beautiful gardens surrounding it are one of the most important symbols of Vienna. This place is absolutely amazing and you have to see it. If you’re traveling on a budget, do not worry, because admission to the gardens is free. You pay only if you want to visit the Schönbrunn Palace and see how its interiors look like. However, the walk through the gardens itself is a great attraction. 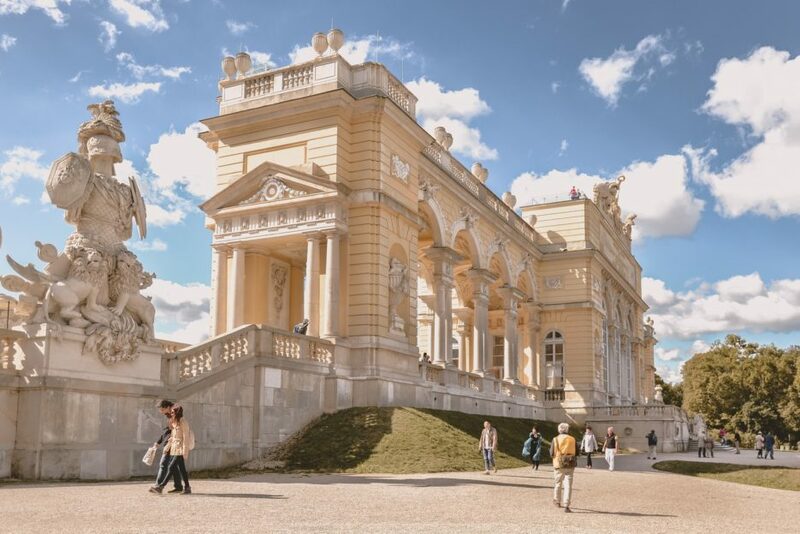 You will find many hidden treasures such as the beautiful Palm House building, tunnel of roses or Gloriette, from which you can see the magnificent panorama of Vienna. A fun fact is that the Schönbrunn Gardens also house the oldest ZOO in the world (check also: Interesting facts about Vienna). 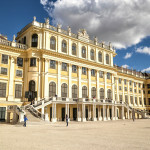 If you want to visit the Schönbrunn Palace and plan to see the Hofburg too, it is worth buying a combined Sisi Ticket for € 29.90 adults, € 18 children. You can save up to 25 % compared with the price of separate tickets. 2. Take a walk around the Innere Stadt and feel like you are traveling back in time. 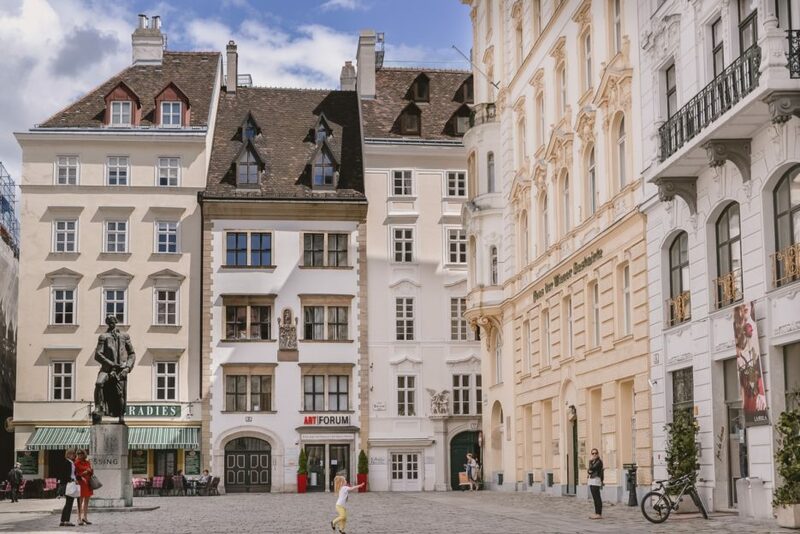 A walk along the streets of Innere Stadt is like a journey in time. In this historic district of Vienna, you will find the most important monuments in the city, atmospheric cafes and exclusive boutiques. Kärntner Strasse, Graben, and Kohlmarkt are the main pedestrian streets of Innere Stadt. The central point is Stephen’s Cathedral, from which you can enjoy the beautiful panorama of the old town of Vienna. There are also many other churches here that enchant with their architecture, squares surrounded by historic buildings and hidden narrow streets. 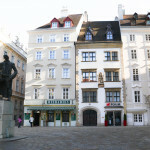 My favorite places in the old town of Vienna are Kohlmarkt, Griechengasse, Freyung Passage, Judenplatz, Michaelerplatz and the stairs to Albertina. If you want to get to know Vienna and feel its atmosphere, instead of running between monuments reading a guide, go ahead and get lost in the maze of streets. 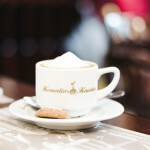 Sit in a cafe, look at passers-by, relax, and then go again to look for the hidden treasures of the old town. Just slow down and see how people live here. It’s one of the best things to do in Vienna. 3. 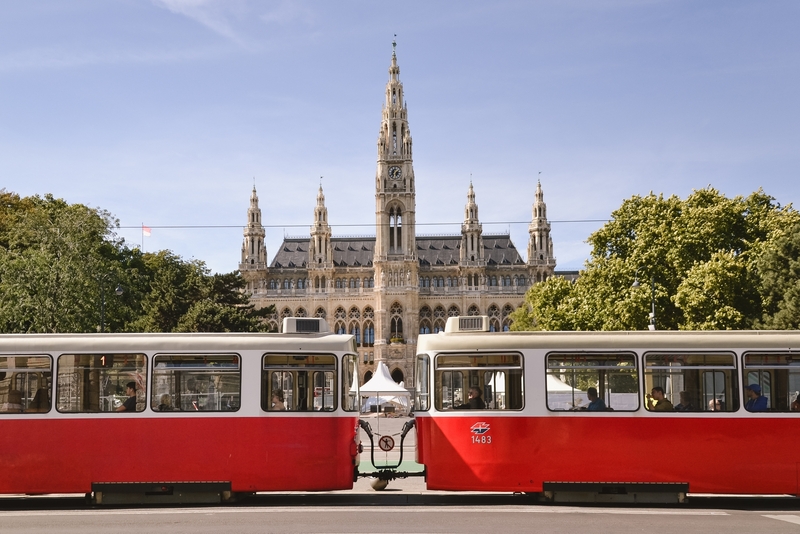 Catch the tram around the Ringstrasse to see the greatest buildings in Vienna. The Ringstrasse is the main boulevard of Vienna, where the most representative buildings are located, such as the Town Hall (Rathaus), Hofburg, Parliament, the Opera, St. Charles’ Church, museum buildings at Maria Theresien Platz and many more. There are also beautiful parks and gardens where you can relax after sightseeing like Stadtpark, Volksgarten, and Burggarten. 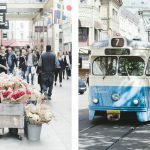 The attractions of the Ringstrasse can be reached on foot, but an alternative is a special Vienna Ring Tram that runs every half hour from Schwedenplatz. The integrated multimedia system provides explanations in many languages. This is a good option when you are tired of sightseeing or if the weather is bad. When it comes to the monuments of the Ringstrasse, my favorite place is St. Charles’ Church. Many people call it the Vienna Taj Mahal and in my opinion, it is really impressive. It is also worth to reserve some time for rest in Stadtpark or Volksgarten, it is very nice there. If you want to catch Vienna Ring Tram, take the U-Bahn U1, U4 (Schwedenplatz). If you prefer to go for a walk around the Ringstrasse, it is best to take the U-Bahn U2, U3 (Volkstheater). If you are traveling on a budget and do not want to spend money on the Vienna Ring Tram ticket, you can also catch the city tram number 1. It’s best to get off the metro at Karlsplatz station (U1, U2, U4) and then take tram 1 (direction: Prater Hauptallee). You can get off the tram 1 at the station Schwedenplatz (U1, U4) and then catch the tram 2 (direction: Dornbach). Later, you can get off the tram 2 again on Karlsplatz (U1, U2, U4) or see the Ringstrasse one more time and get off at the Parliament or Rathaus stop. 4. Visit Vienna’s museums and art galleries. 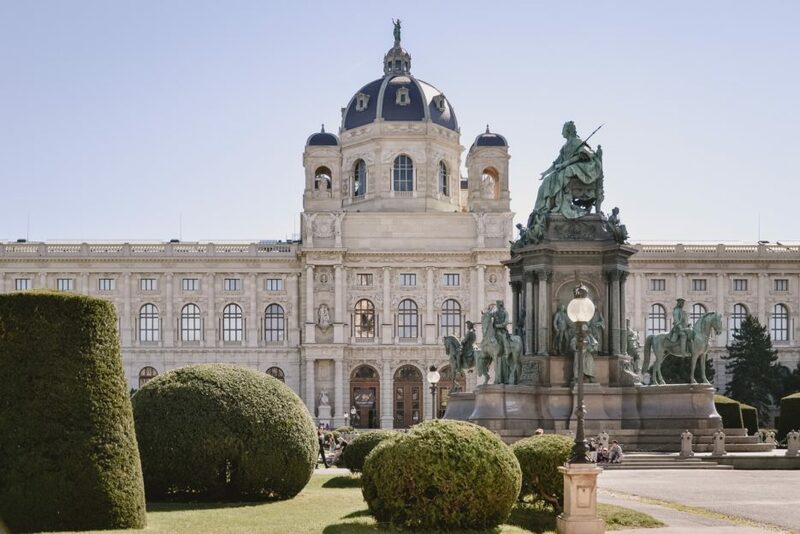 For some travelers, visiting museums is a real icing on the cake and the best thing to do in Vienna, others prefer walking around the city to see how people live here. Everyone likes something different, but one thing is certain: in Vienna, you will find many wonderful museums that will appeal to both art lovers, families with children and technology enthusiasts. Which museums are worth seeing and which are better to let go? 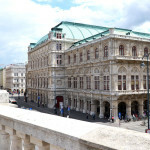 It depends on what you’re interested in, but the most visited museums in Vienna are Hofburg and the Sisi Museum, Kunsthistorisches Museum Wien (Art History Museum), Naturhistorisches Museum Wien (Natural History Museum), Museums Quartier, Belvedere Palace Museum, Albertina, and Technisches Museum (The Technical Museum). You can check the current fees for admission tickets on the websites of individual museums. If you plan to visit more than one museum, consider a combined ticket because then it is cheaper. A small discount is available if you have the Vienna City Card. Every first Sunday of the month, admission to some of the museums in Vienna is free. Here you can find a list of Vienna free museums and how to get there. 5. 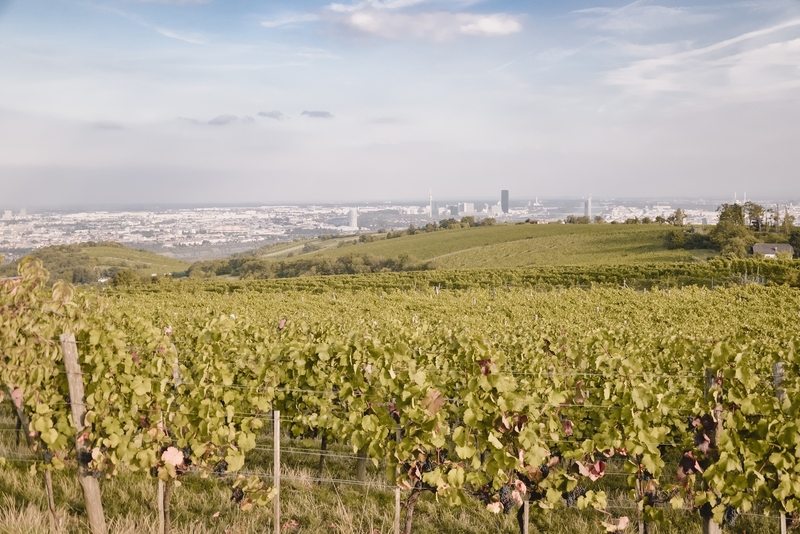 Try local Viennese wine on the Kahlenberg hill. What makes Vienna so special? Monuments, beautiful buildings, museums, art galleries? Of course, but there is something more that makes Vienna the best city to live. To find it out, you must visit the Kahlenberg hill, see the best panorama of Vienna and go down to the vineyards. There you can relax sitting on a lounger among the vines, wrapping yourself in a warm blanket and drinking local wine. From the slopes of Kahlenberg, you can see Vienna, the Danube, and even the nearby Alpine peaks if there is good visibility. 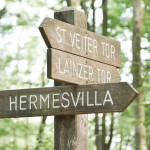 Going down to the city you will find yourself in the Grinzing district, which is famous for its taverns called Heurigers. You will feel like in a small Austrian town here while still in the capital city. You have to catch the U-Bahn U4 and get off at the last station of Heiligenstadt. From there, take bus 38A towards Kahlenberg or Leopoldsberg. Get off at the Kahlenberg stop. It’s best to ask the driver because some tourists are wrong and go one bus stop further to Leopoldsberg, which by the way is also worth seeing. If you are in Vienna in August, September or October, you have to try a local drink made from grapes called Sturm. What is this Sturm? No longer grape juice and no wine yet, something in between. Sturm is very delicious and I do not know a person who would not like it. It is mainly consumed in Austria, the Czech Republic and Slovakia. 6. See the wonderful panorama of Vienna from the Belvedere. If you have already visited the Schönbrunn Palace and Gardens and liked it, you should also see the Belvedere. The name ‘Belvedere’ means ‘beautiful view’ and yes, you can watch the wonderful panorama of Vienna from here. The Belvedere consists of two palaces, upper and lower and a magnificent garden with cascades and fountains. The palaces house a museum where outstanding works of art are presented. Entrance to the garden is free. In the Belvedere Gardens, it is calmer than in Schönbrunn and there are not so many tourists. It is also one of the favorite jogging spots for people living in Vienna. 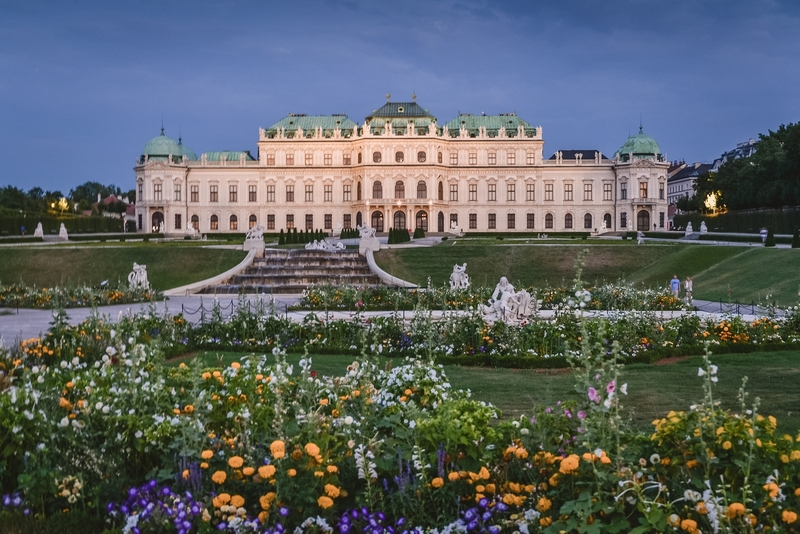 If you will be in Vienna in the spring, be sure to visit the Botanical Garden near the Belvedere Palace. You may be lucky to see blooming crocuses. Check out: Spring in the Belvedere Gardens. 7. Have fun at the Prater, the famous Vienna amusement park. Colorful carousels, fear locks, atmospheric pubs, and many other attractions. 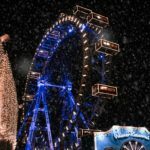 You can find all this at the Prater, Vienna’s amusement park, which houses the oldest carousel in the world and the ferris wheel Wiener Riesenrad, one of the symbols of Vienna. Walking through the streets of a funfair, you can feel once again as if you were traveling in time. It is a magical place and what’s cool, available to everyone. Admission to the Prater is free, you pay only for individual attractions. Visiting Viennese Prater is one of the best things to do in Vienna with kids! It’s best to visit the Prater in the evening, just after sunset. All attractions are then beautifully lit. If you have a little more time, you can also take a walk along the Prater Hauptallee, a beautiful avenue with chestnut trees. 8. Try food from around the world on Naschmarkt. Traveling is not only visiting monuments, but it’s also getting to know the place in every possible way. Vienna has always been a place where trade routes crossed and there were many different people from all over the world. 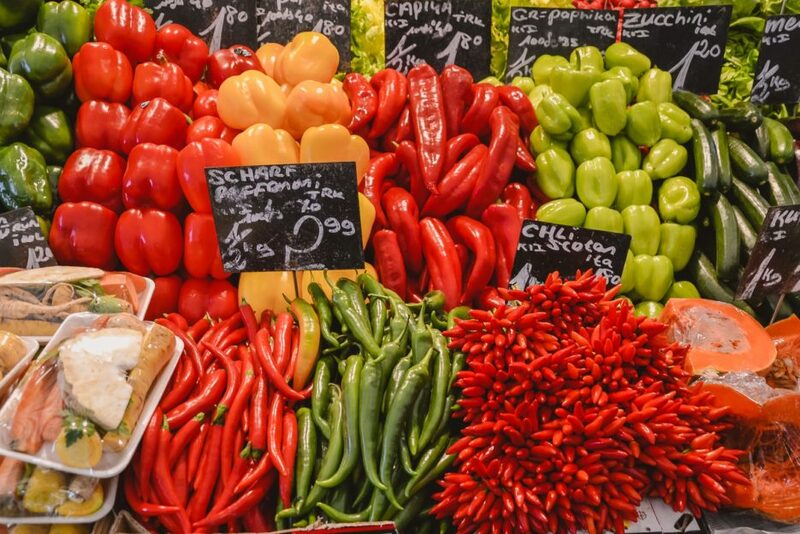 To find out about it, visit Naschmarkt, the best-known Viennese market. You will find delicacies not only from Austria but also from many different countries, sometimes very exotic. You can buy here vegetables, fruits, spices, appetizers and many, many more. There are also small restaurants on Naschmarkt where you can eat something good and drink local wine. It is worth spending some time here to feel the atmosphere of this bustling and colorful market. Read more: Colorful Naschmarkt. It is best to visit the Naschmarkt on Saturday because there is also a flea market next to it. You can find here many interesting things to decorate your home, antique tableware, paintings, old photographs and much more. 9. 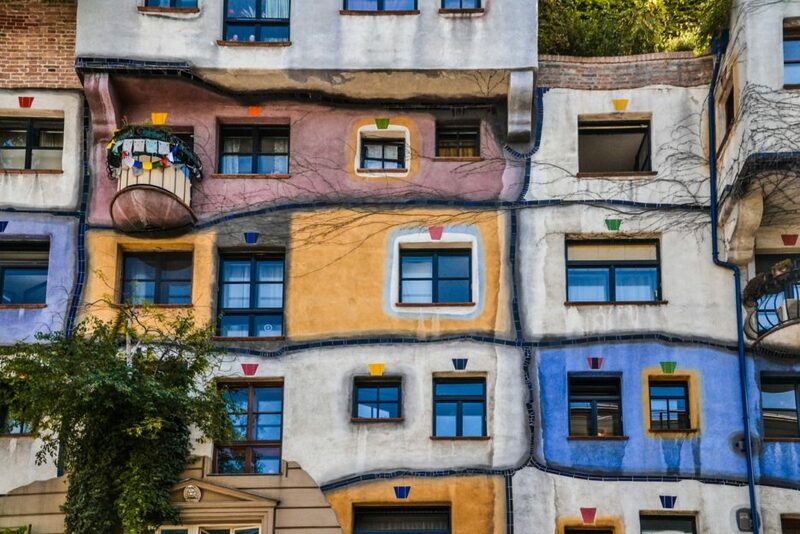 See the Hundertwasserhaus, the most bizarre-looking building in Vienna. Vienna has many strange places, but the Hundertwasserhaus is probably the most bizarre-looking house in the city. Its creator was Friedensreich Hundertwasser, an artist and a keen ecologist who hated straight lines and tried to include as much nature as possible in the buildings he designed. That’s why trees grow on the Hundertwasserhaus roof and everything is crooked. This place is visited by many tourists every day. Some people like this colorful, strange house, others are disappointed and consider it kitschy. 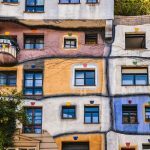 One thing is certain, the Hundertwasserhaus definitely stands out against the sophisticated, elegant facades of Vienna’s tenement houses. Not everyone knows that about 5 minutes on foot (450 m) from Hunderwasserhaus there is another building designed by this artist. This is the KunstHausWien, which also impresses with its fancy façade and interesting interior. There is a museum presenting the art of Hundertwasser and a nice café where you can sit in the greenery of the courtyard. Admission to the ground floor of the building is free, the museum tour costs € 11 for adults, € 5 for children. I personally like the KunstHausWien more than the Hundertwasserhaus. Besides, there are no hordes of tourists. If you like the Hundertwasser style, it is also a good idea to see the unusual Spittelau waste incineration plant. Check also: Top 10 strangest buildings in Vienna. 10. 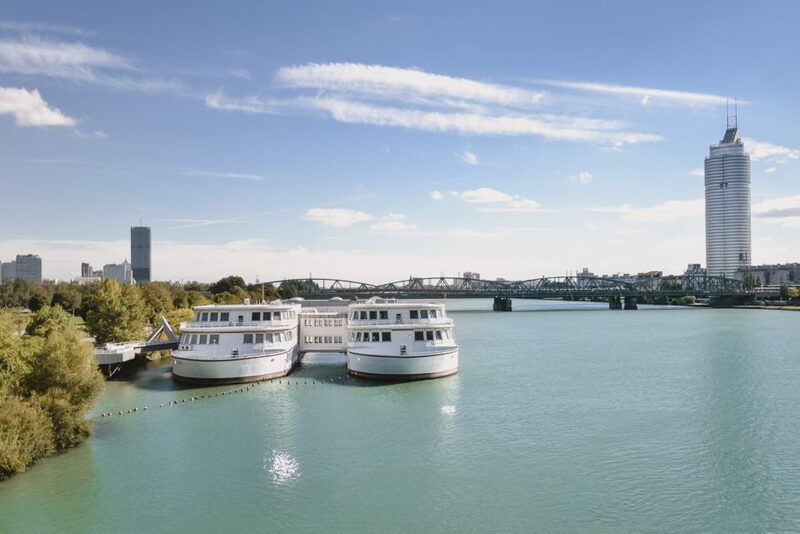 Enjoy the view of the beautiful blue Danube. Which melody is best associated with Vienna? Of course, this is waltz by Johann Strauss II ‘The Blue Danube’, which is the unofficial hymn of Austria. However, you must know that currently, the river does not resemble that of the time when the famous composer lived. The Danube has been regulated and now flows away from the historical center of Vienna. 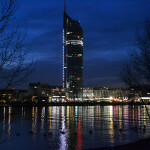 Nowadays, on the banks of the river, you will see modern skyscrapers of the UNO City complex, the Vienna International Center (read more: 5 alternative things to do in Vienna). An interesting fact is that in Vienna, the Danube is divided into two parts – Donau and Neue Donau. In the middle is the island, which is the favorite place of the Viennese for relaxation and sport. The Danube Island (Donauinsel) is over 20 km long and if you have little time, better to let it go. However, you can get off the metro and see the Danube from one of the bridges – Reichsbrücke or Georg-Danzer-Steg. This view has always made an impression on me, however, the Danube turned out to be completely different than I imagined. So if you want to see it, it’s up to you. Near the UNO City skyscrapers there is a very nice park with the Donauturm lookout tower, from which you can enjoy the panorama of Vienna and the Danube (entrance fee: € 14.50 adults, € 9.90 children). A very good place to take photos is also at Alte Donau. It was there that I did one of my best night photographs of Vienna. 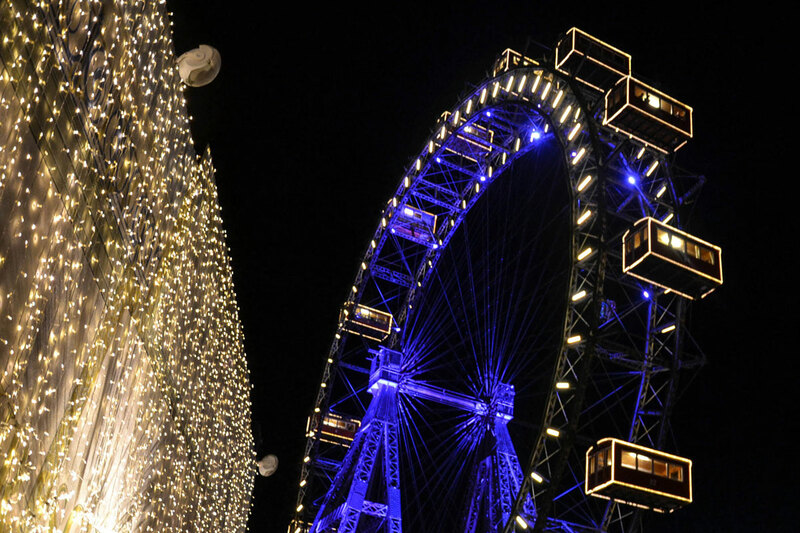 Check out: Best Vienna night views. Vienna looks spectacular. I’ve always wanted to go there but for some reason haven’t been able to. I think I could spend hours there simply staring at the architecture. You haven’t shown any interiors here, but I remember completely overdosing on Baroque art and interiors when I was in Vienna…and pastries too! True, the interiors of buildings in Vienna delight. This city is full of great architecture, being in Vienna for the first time you can be amazed that there are so many beautiful things. Thanks for giving all the details of the places to see and how to get there. It was really a good read. I would love to take the tram and get around. The museums are a hit, and so is the cruise. Photos in front of the bizarre looking buildings are a must. Vienna is magnificent! Woo, Hundertwasserhaus is indeed bizarre. I love this kind of anomalies when I travel. If I go to Vienna, I would definitely go to picture it. A lot of people take pictures of the Hundertwasserhaus but it will be nice to see it in your interpretation. I also love strange architecture and such crazy buildings. Vienna has an absolutely amazing architecture, doesn’t it? I visited last winter and it was time for Christmas markets so all the palaces had one in front of them and also Prater, it was amazing. I could not, however, make it to the wineries and Danube because it was freezing and wasn’t the right weather for it. I wish to return some day during spring or summer. If you want to go to vineyards, it is best to come to Vienna in October. Then you can try Sturm about which I wrote here, it is really good. In addition, the vine leaves have a beautiful golden and orange color and it looks wonderful. Thanks for virtually touring us in Vienna, such a magnificent city. 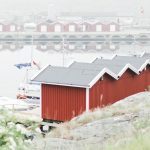 I will add these places to my list and hope I could make it this summer. Check also the list of 5 alternative things to do in Vienna. Maybe you’ll find some inspiration there when you plan your trip to Vienna. I didn’t get to try the local Viennese wine while there and what a shame! I loved Vienna when we visited, and totally agree about visiting these sights. I most loved Belvedere, and also seeing the natural history museum and art galleries there. It’s truly a wonderful city! The Belvedere Palace is wonderful, I love it! Vienna is a city full of art in general, that’s why I love to be here. It gives me a lot of inspiration. In that case, I think it is worth visiting Vienna one more time. There are many beautiful places to see. I just loved how detailed was this post. WIth all the prices and so on. I should take a notes while I travel and do the same. Thanks for inspiration Ewa! I hope that thanks to this information this blog post is useful for tourists. When I travel to a place, such things are helpful to me. Vienna looks like a dream! I would love to visit there someday, your pictures and this post sold me to go ASAP! That’s a great place. It is considered one of the best cities to live.